A NEW favorite wild edible: green milkweed seed pods! It’s been a few months since I walked on a nearby path where I have spotted many a wild edible. Busy with the homestead garden, ya know! Anyway, I was thrilled to walk the path yesterday and find two wild edibles that I have been wanting to try: green (immature) milkweed seed pods and staghorn sumac berries (blog post forthcoming). So, I picked about 9 milkweed green/immature seed pods to try for the very first time. When i got home, I referred to my copy of Sam Thayer’s The Forager’s Harvest to find out exactly how to prepare them. He says that some people can eat milkweed raw but other people cannot tolerate them raw. I did taste a bit of the raw silky white and a bit of the raw green part. The silky white part was pretty good raw and the raw green part was decent but I decided that I would cook the rest. 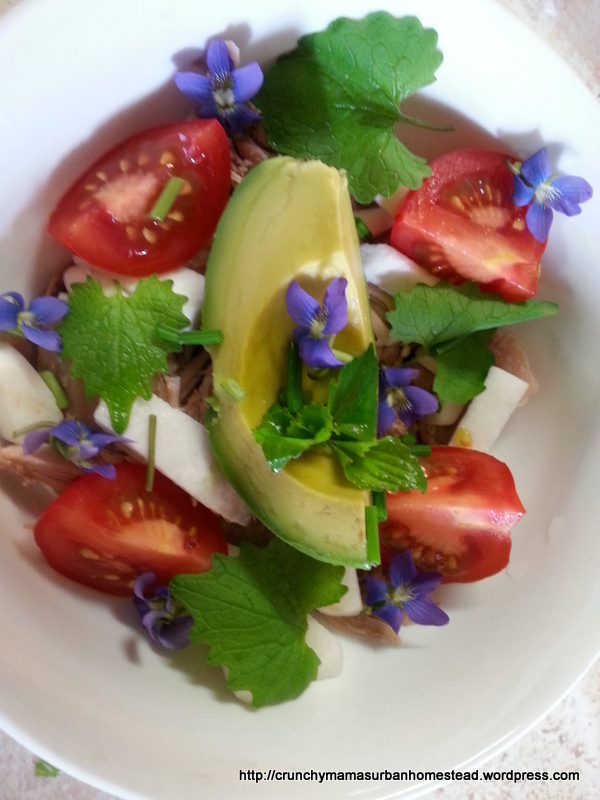 Generally, when I try a new wild edible, I like to keep it simple so that I can really taste the plant. 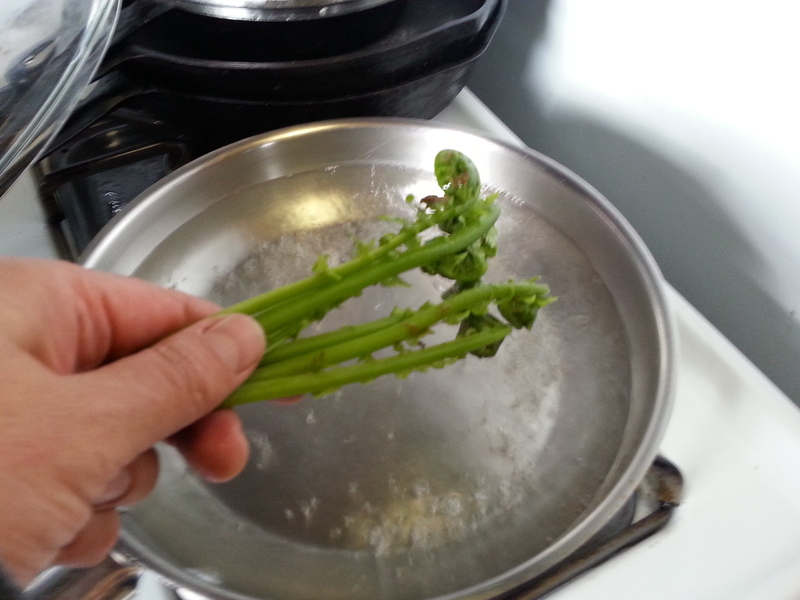 I steam/sauteed the pods, cut in half, for a few minutes in some butter (with a tablespoon of water) in my pre-heated cast iron skillet. They were very good! I now have yet another favorite wild edible! They taste mild and delicious. According to what I’ve read, you can put these pods in casseroles, stews, stir-fry’s, etc. They are so versatile! And, did I mention that they are delicious?! Note on behalf of the butterflies: please don’t take all of the pods. We want to make sure that this plant is widely available for the Monarch caterpillars. I’d suggest taking only 10 – 20% of the pods and, if possible, take some mature seeds and plant some on your property! Update: I did try the bigger ones and they were fine for me! On identification: the leaves are in opposing pairs on an unbranching stem. They are 4-7 feet at maturity. Thayer’s bottom line on eating milk weed, in my own words, is that if the plant that you think is milk weed tastes bitter then don’t eat it! All posts tagged under the category wild edibles are here. Greetings, friends! Next up in my wild edibles series is wood sorrel. 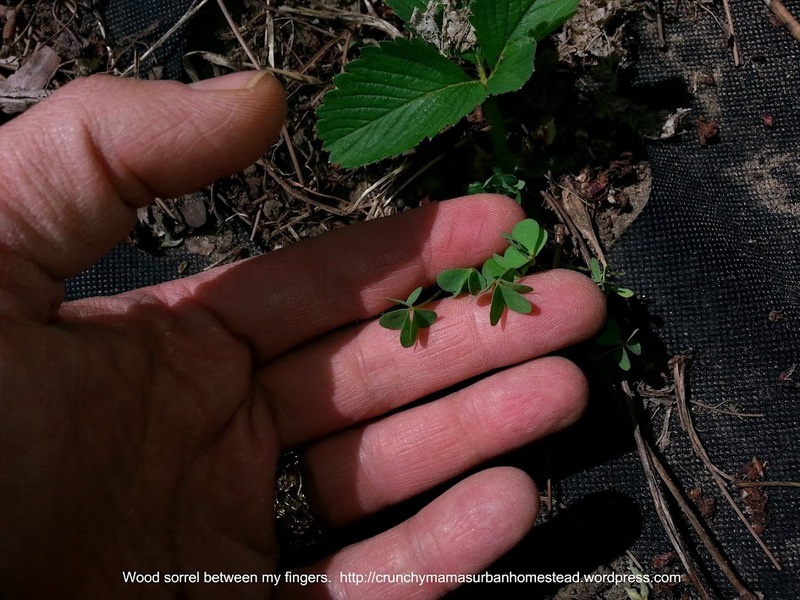 Wood sorrel might be mistaken by new foragers for clover but after reading this post you will know how to distinguish it from clover. It is similar to clover in that it has three small leaves coming from the end of a small stem. Wood sorrel, however, has three heart-shaped leaves and the veins in the leaflets radiate out from the base whereas clover has three egg-shaped leaves and the veins in the leaflet come out from various points from the center vein. 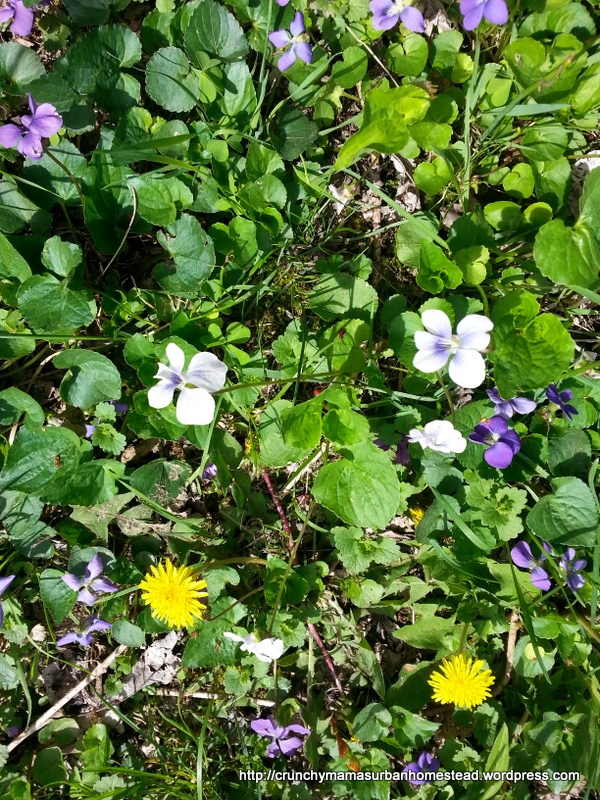 The wood sorrel flowers have 5 petals and the clover flowers have “lots of tiny pea-like flowers clustered together on flower heads” (Kallas). Click here to see images of clover flowers. 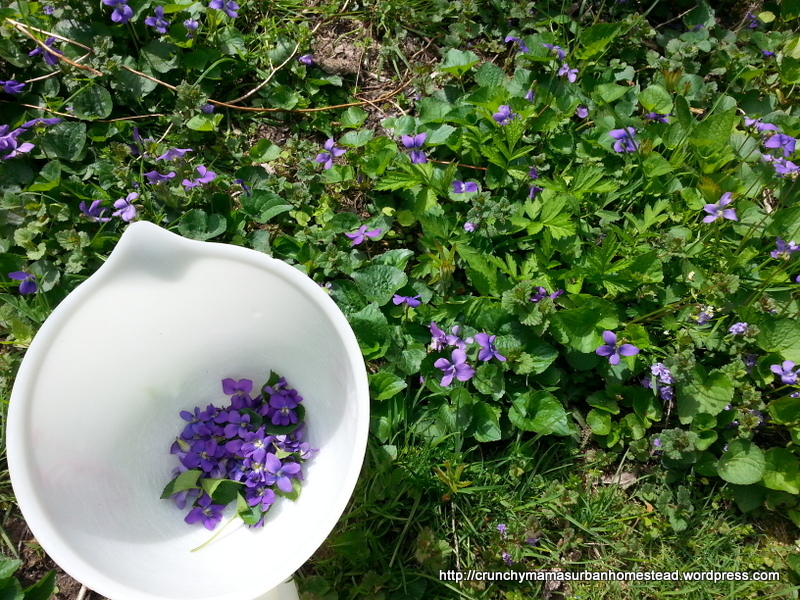 Both clover leaves and flowers and wood sorrel leaves and flowers are edible but the taste difference is very distinct. Wood sorrel has a bright, sour, lemony flavor. Clover does not have this sour flavor. The sour flavor comes from a mixture of acids including oxalic acid; a common warning to those with kidney problems, gout, etc. is that they should avoid plants with oxalic acid. Everyone should be aware that consuming vast amounts of foods with oxalic acid might cause problems (see below for more links regarding oxalic acid). Many “normal” foods have oxalic acid but there are no big warning labels on them regarding oxalic acid (spinach, swiss chard, and beet greens, okra, figs, peanuts to name a few, according to http://juicing-for-health.com/oxalic-acid.html). John Kallas writes, “[i]n spite of many authors claiming so, oxalates are not a problem for normal healthy humans eating a normally diverse diet.” You will need to do your own research and decide what works for you. One of its nutritional benefits when consumed as part of a varied diet and in moderation (whatever THAT means — sarcasm) is that it is high in vitamin C. Another source says that it is high in vitamin A. Kallas reports that it is high in iron and calcium. 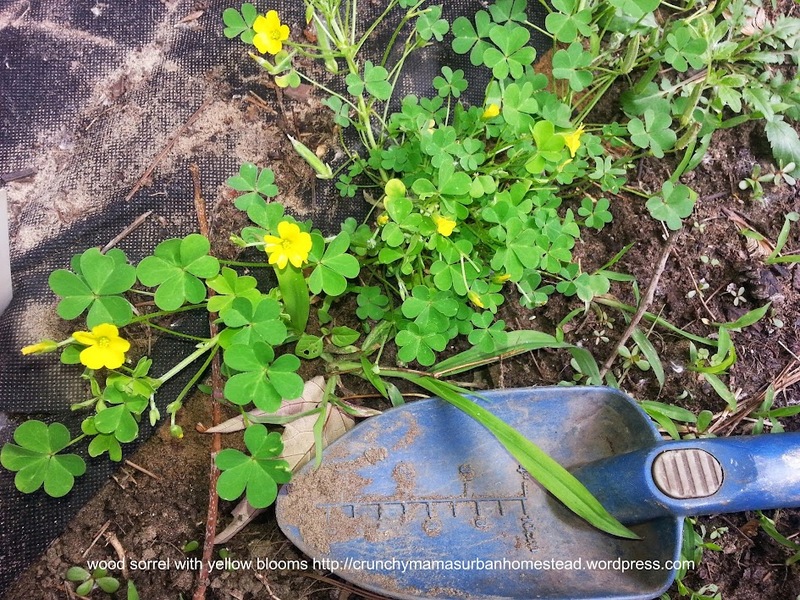 Other names it might be called are: sour grass, shamrock (although clovers are sometimes called shamrock so I would avoid calling wood sorrel shamrock), yellow oxalis, sour clover, or oxalis (after the genus that it belongs to). I have personally only eaten wood sorrel as “trail nibble”, meaning that I just picked some leaves and ate them then and there. Because of the oxalic acid, the surface of your teeth will feel strange for a few minutes. It’s the same feeling that you would get after eating raw spinach leaves (for the same reason: oxalic acid). Identification: Herbaceous (non-woody) plant with slender rhizomes; each leaf (green or plum-colored) is made of three heart-shaped leaflets that are an inch or less in length and they grow out from one point at the end of the leaf stalk (aka the petiole, pronounced PET ee ohl) and each leaflet has a crease along the middle and the leaflets can open and close depending on the weather (like a butterfly); the small flowers can be yellow or violet and have 5 petals. Environment: Found in the lower 48 States. Likes partly shady areas and moist soil. Method of preparation: You can eat the leaves, flowers and pods raw or cooked. 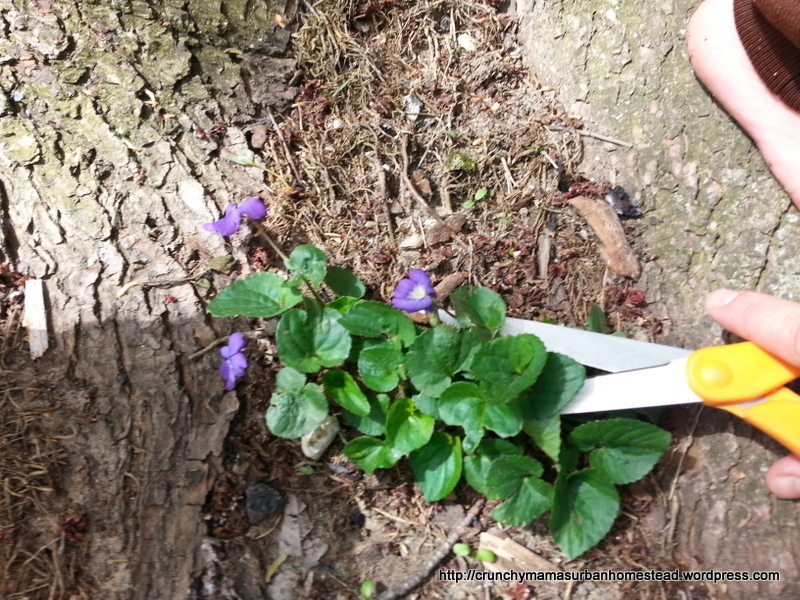 John Kallas recommends that when you snip off the leaves and flowers that you snip about 1/2 inch down the stem (from the leaves and flowers). The stem is fibrous so you do not want to include much of the stem. You can include some wood sorrel in your salad (maybe 20% of your greens) or you can add them to soups or make a tangy sauce with them (see Kallas’ book for the recipes). You can dry the stems, bundle them together with some clean string and make a tea by seeping the dried stems for a minute or two in hot water, according to Kallas. My journey with wild foods began when I first became aware of the problems that plague our food supply including depleted soils on farmland, the crazy dependence on fossil-fuel-based fertilizers, Monsanto’s diabolical acts with pesticides, herbicides, and genetically changing seeds, and more. 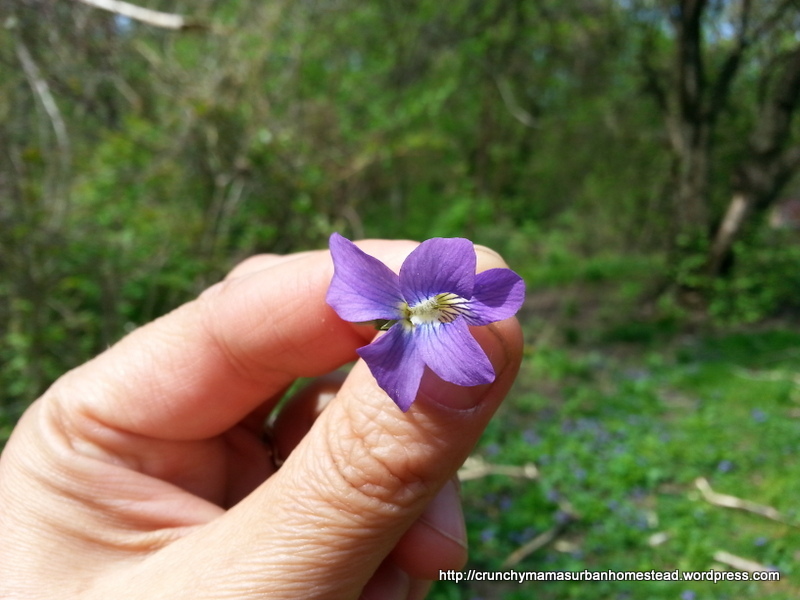 I bought several wild edible field guides and began to look for the plants. 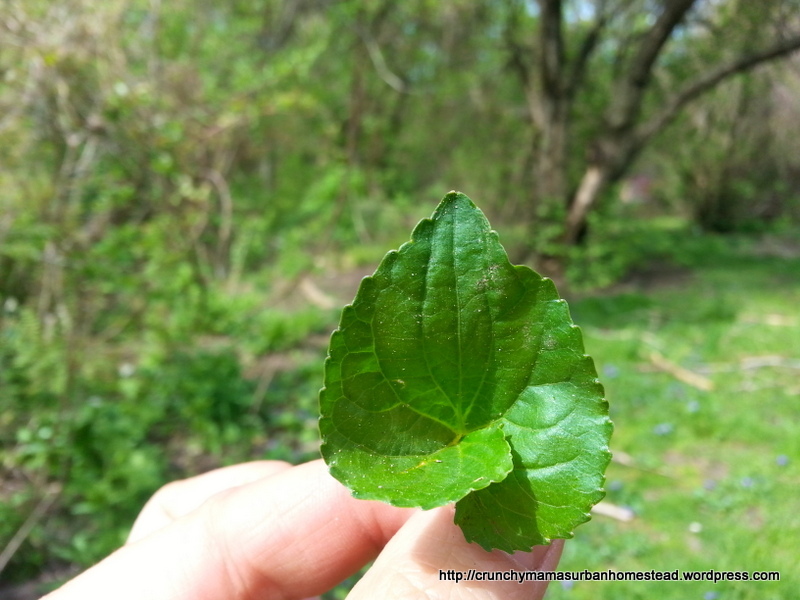 For the past few years, I have added a few wild edibles to my knowledge base and diet. Last fall, I found a revoluntionary set of books on wild food that my set of wild food adventures on fire! Those books are John Kallas’ (KAY-less) Edible Wild Plants and Samuel Thayer’s The Forager’s Harvest and Nature’s Garden. 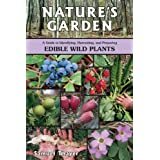 I’ll be talking about the books in coming posts but I want to dive into some great and ready-right-now wild foods that are easy to find and identify. In the meantime, you should check out their reviews on amazon.com. So, let’s take some wild food adventures together! Spring is a great time to learn about, find and eat wild foods because there is not too much vegetation to overwhelm you — at least in the Midwest and northern part of the US. Once the heat of late spring and summer comes, it might be harder because so many things are growing. 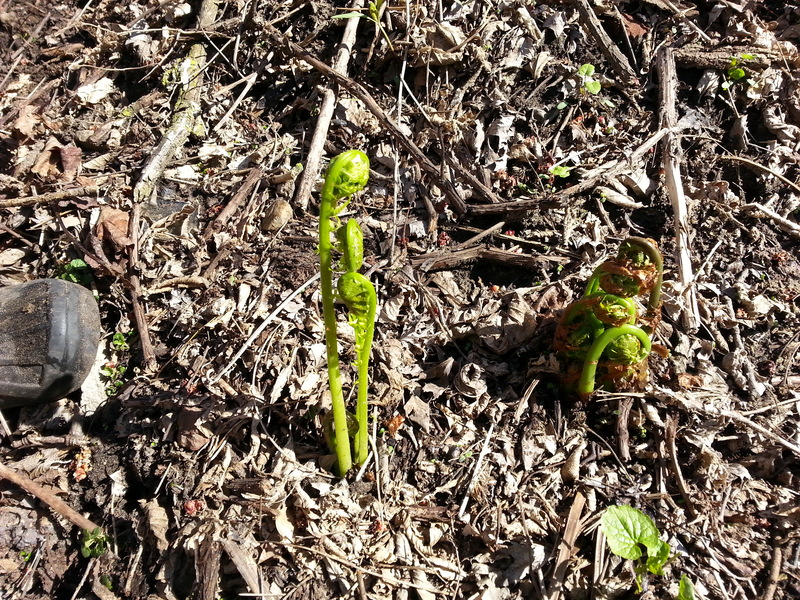 The first and tastiest wild vegetable that I want to urge you to go out and find is ostrich fern shoots and fiddleheads. Oh my goodness, if people were to be introduced to wild foods with ostrich fern shoots and fiddleheads rather than dandelion leaves, we might have more wild food eaters. And, one more thing before we begin: I will only post about wild edibles that I have personal experience with. 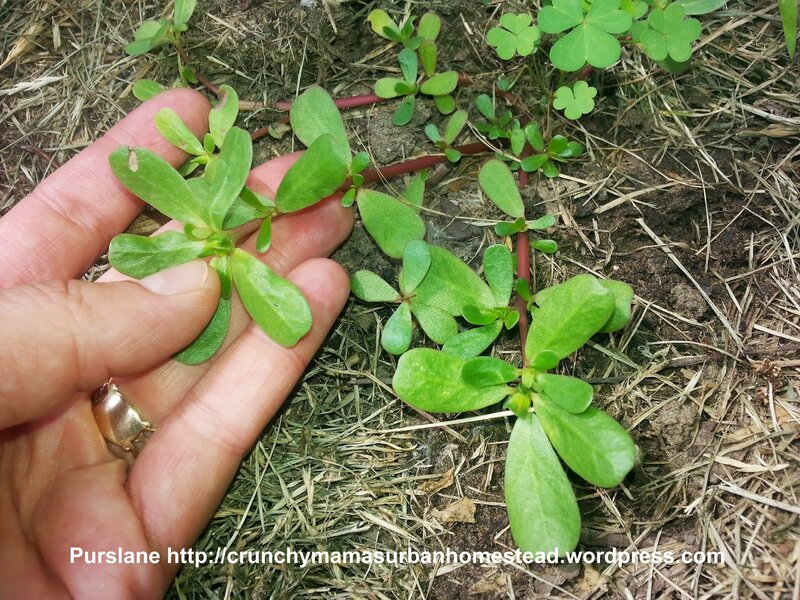 Green Deane, who runs the most watched foraging channel on youtube called EatTheWeeds (http://www.youtube.com/user/EatTheWeeds), teaches us to itemize a wild food. ITEM = identification (be sure the plant is what you think it is by examining its features), time of year (is it the right time for eating a particular plant part? ), environment (where does it like to grow; under what conditions? ), and method of preparation (can you eat it raw or must you cook it a particular way?). So, we are going to itemize ostrich ferns because there are some fern species that you don’t want to eat. The ostrich fern shoots are either green, smooth and shiny or have a thin whitish powder covering the stalk. The ones that I’ve enjoyed are the ones with a very fine whitish powder. They have a tightly coiled top (called a fiddlehead). They have a deep groove running up the middle of the shoot (think of a celery stalk groove) and, according to Samuel Thayer on page 80 of The Forager’s Harvest, this groove is what distinguishes the ostrich fern from other INEDIBLE fern shoots. They taste crisp and sweet. The Midwest and Northeast of the US in river bottom forests and “places prone to erosion by floods or human disturbance” because they need bare soil its spores to germinate. 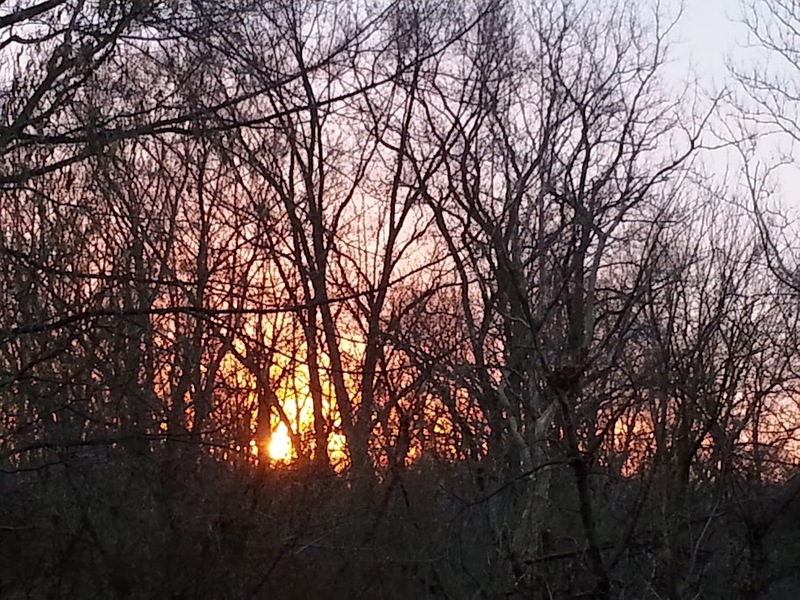 Mine are in a flood plain of a creek. Unfortunately, I do not have large population of them so it is a rare spring treat to have a few servings of them in the spring. Pick the stalks near the base when the stalks are between 8 and 28 inches tall AND they still have the tightly coiled top (the fiddlehead). Only pick 1/3 to ½ of the stalks from one rosette so as not to kill the entire plant and only do this once per season for each rosette. They can be eaten raw but boiled or steamed until tender and served with butter is a very tasty way to eat them. Thayer lives near a super abundance of them and collects enough to freeze and pressure-can some so that he can enjoy them throughout the year. Remember that “knowledge weighs nothing” and, even if your food storage is stolen or destroyed, you can still have food by knowing the foods that nature supplies! 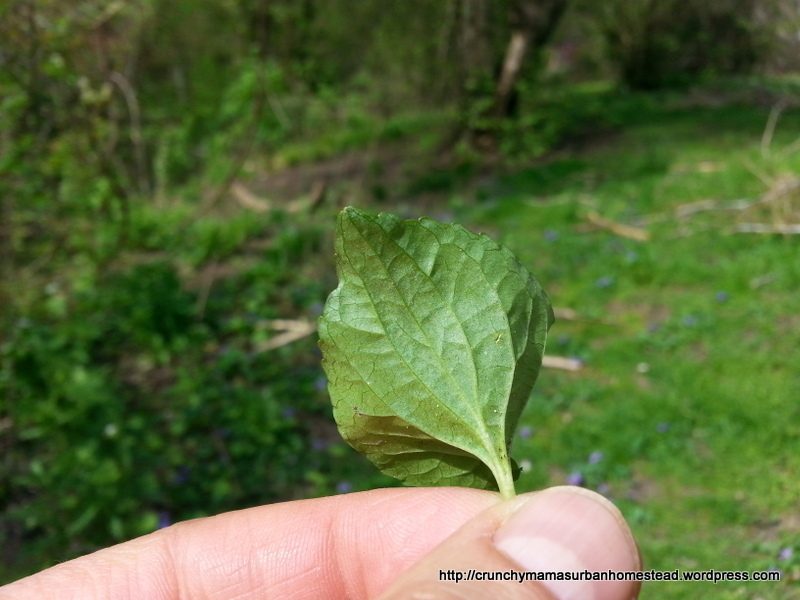 Practice eating wild foods now so that should you ever need to rely on them for short-term or long-term you will have confidence in foraging for them.